The RN42 is a small form factor, low-power, Class 2 Bluetooth® radio for designers who want to add wireless capability to their products. The RN42 supports multiple interface protocols, is simple to design in, and is fully certified, making it a complete embedded Bluetooth solution. The RN42 is functionally compatible with the RN41. 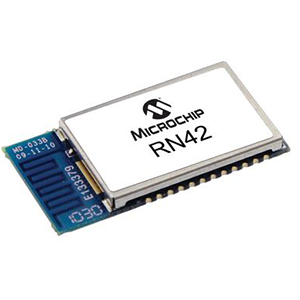 With its high-performance PCB trace antenna and support for Bluetooth EDR, the RN42 delivers up to 3 Mbps data rate for distances up to 20 meters.